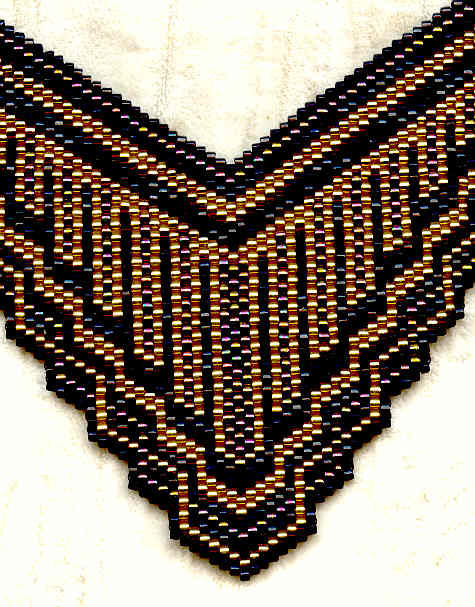 The tiny tube-shaped beads that are individually sewn into place to make this Egyptian pattern are made in Japan specifically for this kind of work. As a result, not only is the finished piece lovely, but it's pliant and feels almost like fabric. 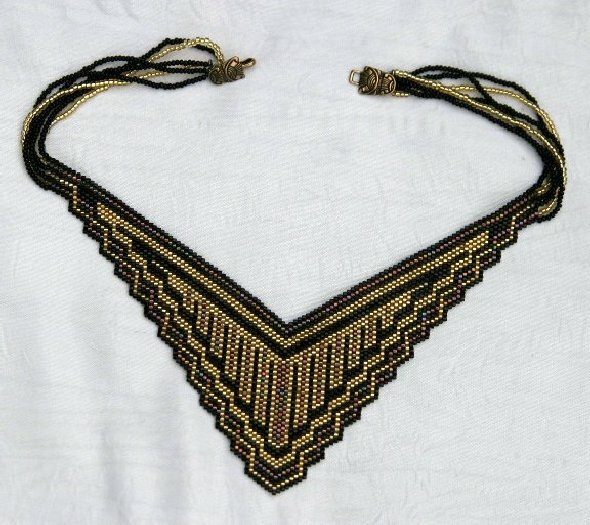 I've made it to fit like a dog collar choker so that the centre point drapes softly. 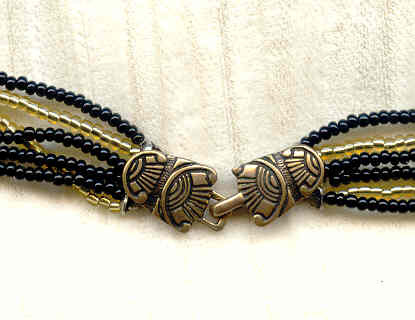 The strand is 15 inches long, closing with a brass scarab hook set. It's an innovative design and simply spectacular!